We use serverless as a technical means to focus less on cloud infrastructure and more on the people and process that enable our customers to deliver more value. Started in 2018, ServerlessOps provides advisory and technical services around AWS serverless cloud infrastructure. Our value delivery focused approach starts by working with leadership in identifying needs, determining goals, and prioritizing work. Taking advantage of the velocity serverless provides, we work with engineering to ensure not just delivery but also the meeting of established goals. Our definition of success is when an organization finds they no longer need us. 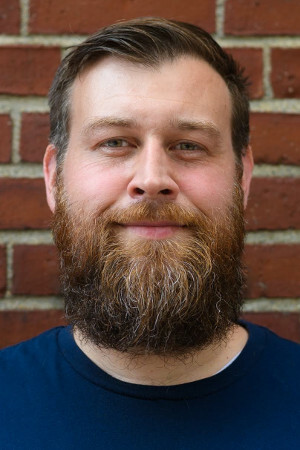 Tom is an experienced technical operations engineer with 13+ years of platform operations and IT experience, and over 6 years of AWS cloud infrastructure experience. As a former HubSpot and Threat Stack technical operations engineer, he’s well experienced with large scale cloud infrastructure as well as having a company growth mindset applied to engineering. Tom is also a leading serverless advocate in the DevOps community. He is a regular speaker at DevOpsDays conferences where he works to guide operations engineers in identifying and further the skills they need to be successful with serverless infrastructure. When not working, Tom can be found racing his ‘87 Buick Grand National at the dragstrip or sailing on Boston’s Charles River. Tom is also the author of Serverless DevOps: What do we do when the server goes away? This free ebook of ours provides the knowledge for understanding how serverless will affect DevOps as well as the role of operations engineers. This is a must read for anyone looking for answers to where cloud technology is heading. He was also a closing keynote at the 2018 USENIX LISA conference, one of the longest running annual technical conference. There Tom delivered a closing keynote to other operations and DevOps engineers on the coming change to their profession. Make sure you watch the video below.